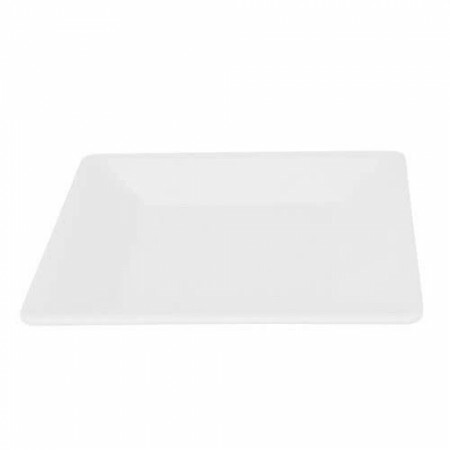 Add classic elegance to any table setting with the Thunder Group PS3204W Passion White Square Plate 4". This pristine white platter boasts a slightly tapered rim that beautifully frames and highlights the colors and textures of food. Made from non-toxic melamine, this NSF approved platter resists heat and breakage and will endure frequent use and washing. Perfect for use in restaurants, hotels, and catered events, this square plate is dishwasher safe for quick cleanup.